In October last year, Rosie and her friend Emma decided to leave the UK behind and head to Australia to start an adventure Down-under. They joined Oyster’s Work and Travel programme which offers a fantastic landing package in Sydney, help with all the admin set up and a year’s worth of support. Following my graduation from university, I decided that I wanted to take a gap year starting in the upcoming Autumn. I felt that, through a gap year, I could make the most of my newfound freedom from studying, and have the time to travel the world and explore new countries. Australia in particular had always seemed interesting to me; the relaxed lifestyle, great food and guaranteed sunny weather appeared to be exactly what I was searching for. 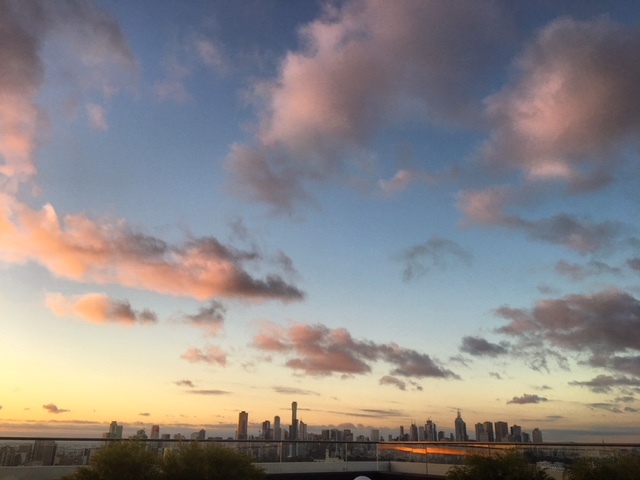 A close school of friend of mine also decided she wanted to travel with me, but we both agreed that we felt rather daunted at the prospect of making a life for ourselves on the other side of the world when, in truth, we both knew very little about Australia. I had heard about Oyster through a friend who had taught children to ski on the Whistler programme and loved it, and so I decided to book their Sydney programme. 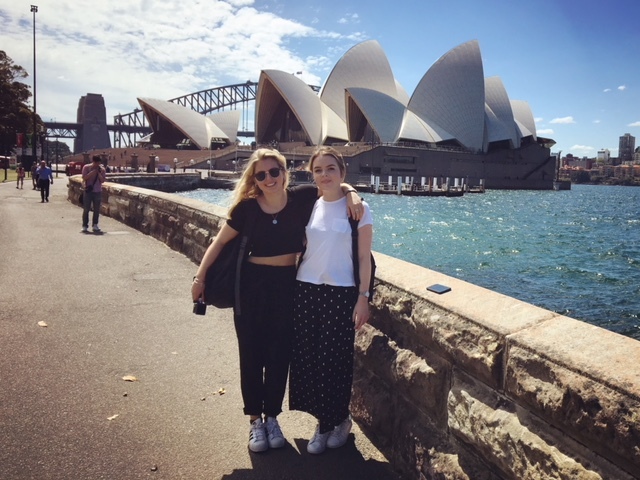 By booking through a programme, I felt I would be able to feel excited about moving to Australia with the comfort of knowing that I had the additional security blanket of Oyster who would help me if anything were to go wrong when I moved to Sydney. As October approached, Oyster helped me to get my working holiday visa that would be crucial to finding a job in Australia. Once we actually arrived in Sydney, we felt reassured by the fact that Oyster had prepared transport and accommodation for our first week in Australia. During our first week, we met up with our group and took walks to see the Opera House, Harbour Bridge and visited Bondi Beach. We also spent three days in the Blue Mountains where we visited a wildlife sanctuary, abseiled (which was terrifying) and took scenic hikes. In addition to this, we also set up our bank accounts and tax file numbers which would be essential to finding a job. Once the first week was over, Emma and I decided that whilst Sydney was bustling with life and a fantastic place, it wasn’t the city in which we wanted to settle down. From there, we took a Greyhound Bus to Byron Bay where we spent a week soaking up the sun and enjoying the magical atmosphere of Byron. 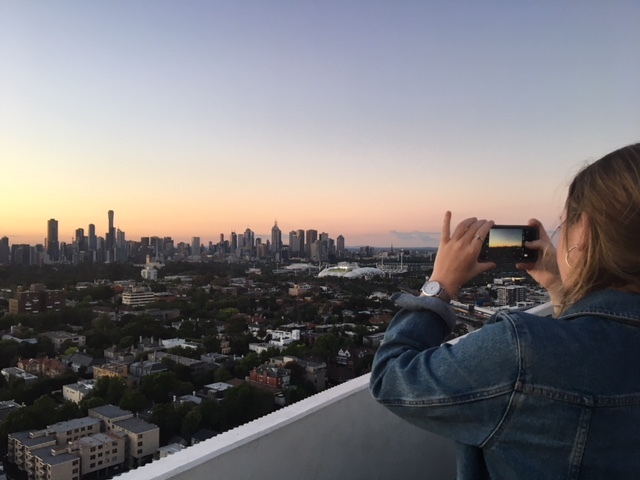 In November, Emma and I made our final relocation to Melbourne, where we finally found jobs and began renting an apartment which overlooks the city. Emma works at a busy bar, and I spend my days working at a cafe that specialises in making great coffee; something that I have learnt is incredibly important to the people of Melbourne. Overall, I can say that so far that my Australian journey has been incredible. I love Melbourne, and am looking forward to the next few months living in this vibrant and welcoming city. However, I’m also excited for other adventures to come in 2018, as we travel around and see what more this amazing country has to offer!